Michael Fuller: "Kill the Black One First"
Michael Fuller, born to Jamaican parents 60 years ago, spent much of his early years in local authority care. He then later joined the Metropolitan Police Force in London in 1975, going on to become the first and only Chief Police Constable ever appointed in the UK, with a high level of distinction and responsibility. Brexit and The Future of Politics: How should we collectively respond? The charged Brexit debate kicked off by exposing the public’s deepening distrust in the government to negotiate in good faith and come up with the best deal. A few years ago, over a drink, Mary Robinson sat down with friends to talk about her memoir being published; the memoir she now says she didn’t really feel comfortable releasing. Author and Professor of Behavioural Genetics, Robert Plomin is at the forefront of using DNA to understand how individuals can be so different. He joined BookFest Chair Toby Mundy to discuss his groundbreaking research and his fascinating book Blueprint. 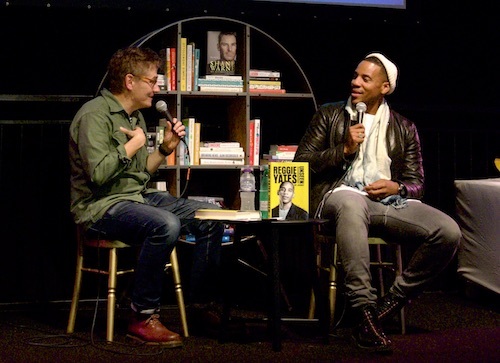 Outstanding actor and self-proclaimed director and producer Reggie Yates talks us through his venture from reading script to creating it himself. Through the launch of his first book Unseen: My Journey, he aims to show people from all walks of life the untold stories of those who are commonly overlooked. You can be a Solange or Venus, or better yet, yourself. On Wednesday 10th October, 'Slay in you Lane' made an appearance at Wimbledon BookFest on the Common. The NHS is arguably one of our greatest accomplishments of the past century, along with military tanks, televisions and the electric kettle. Speeches of Note: What Makes Them Memorable? What does it mean to be Brit(ish)? What is Britishness? How is it defined and who does it exclude? Afua Hirsch discusses how her own experiences of being questioned about her identity led her to look for a sense of belonging. British history resonated in a fascinating fashion at the Wimbledon BookFest 2018, from the history, present and future of universities, to the rise in equality. Doctor turned Comedian, Adam Kay worked in obstetrics and gyanaecology - or brats and twats as he calls it - for six years until a truly traumatic event unfolded before his eyes. He joined us at BookFest to share his highs and lows, and everything else in between. Paving the way for future generations of Bloody Brilliant Women. “I wanted to put these women in the pantheon of history where I think they belong”. 5 Bloody Brilliant Women you don't know about but you should. 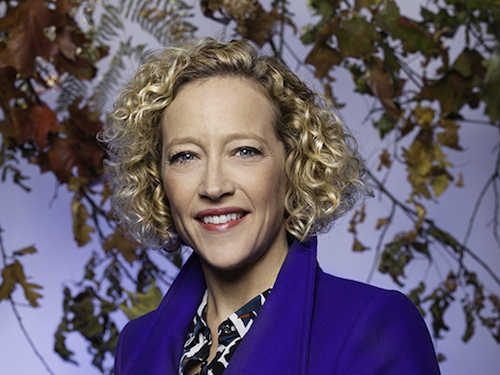 Heavyweight journalist Cathy Newman’s new venture into book writing has birthed what should be the new modern woman’s bible. It provides a witty insight into forgotten women in history. 500 ways women have women have made the world better in the 100 years. In a world where "feminism" has become a toxic word, we might be risking losing sight of the true reason why it exists in the first place. Cathy Newman's Bloody Brilliant Women, published on October 4th, is here to celebrate incredible women who were never given the right credit for their accomplishments.